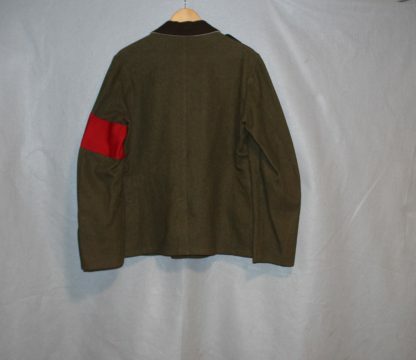 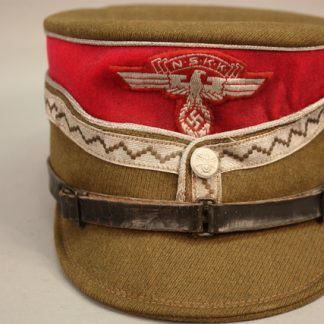 NSKK Tanker Designated Duty Tunic – Military Collectibles, Inc. 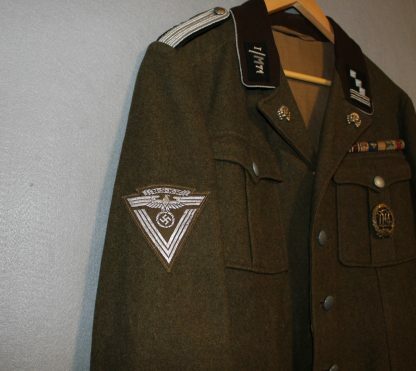 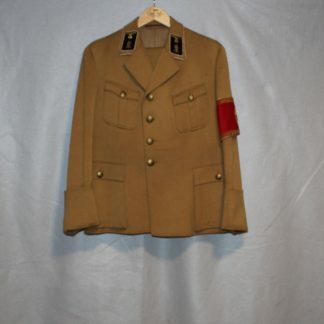 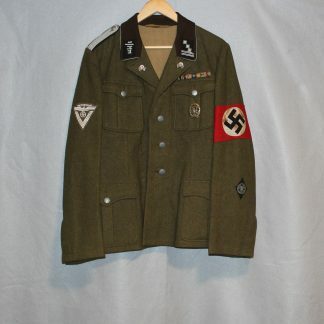 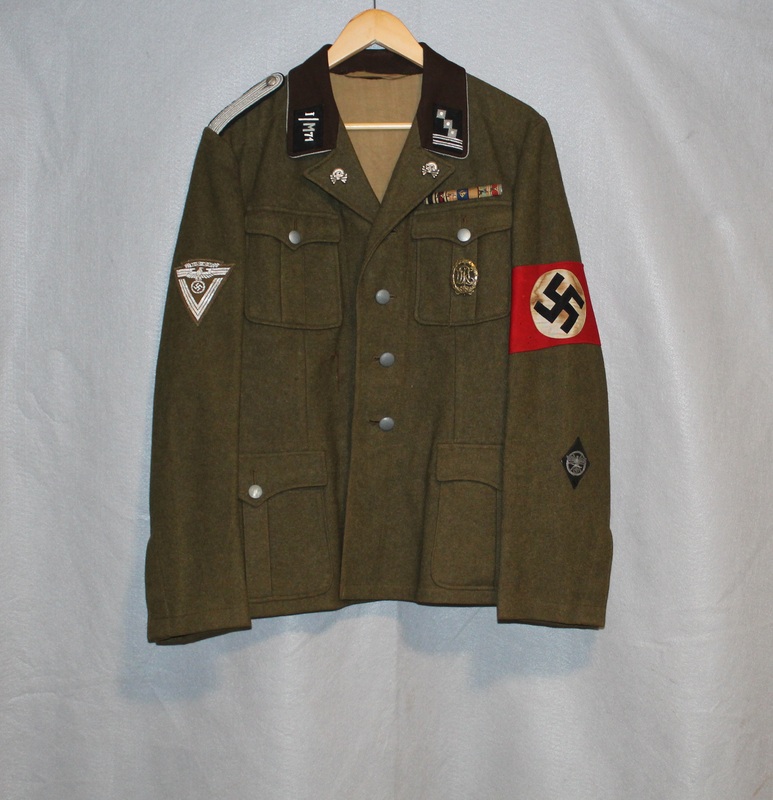 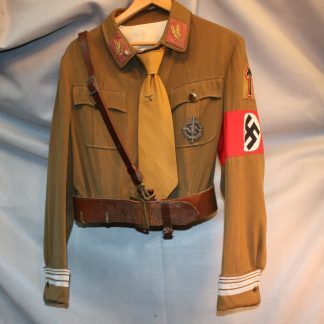 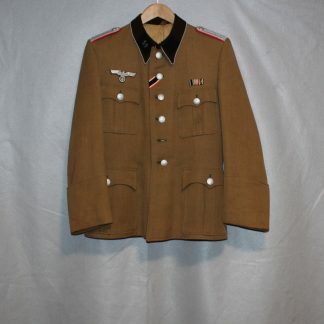 This tunic is in excellent condition with two Panzer skulls on the lapel. 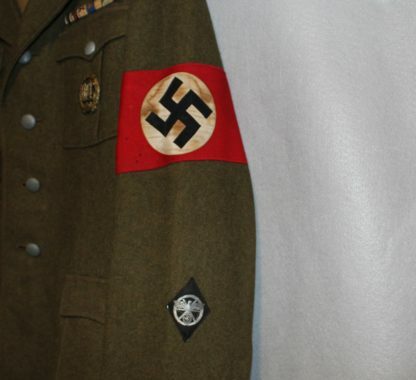 This tunic has the rank of a Captain. 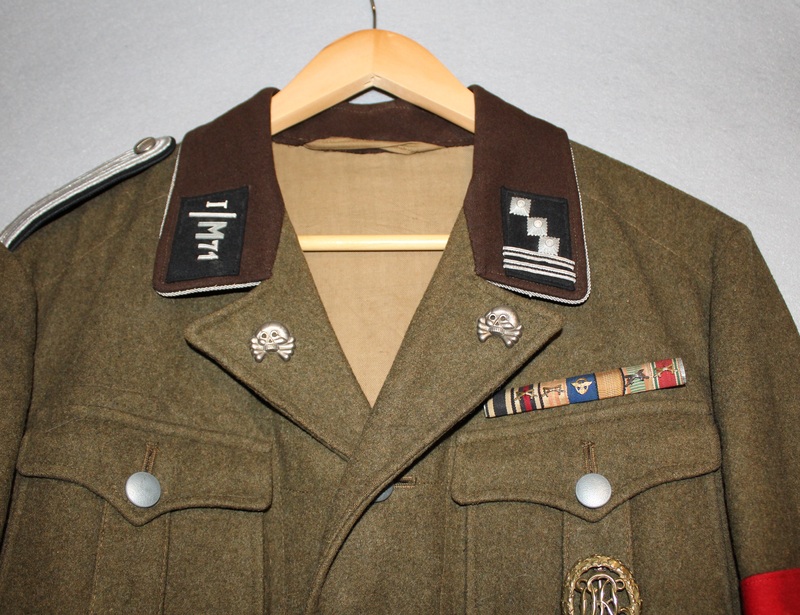 The NSKK instructed tank crews on how to operate tanks. 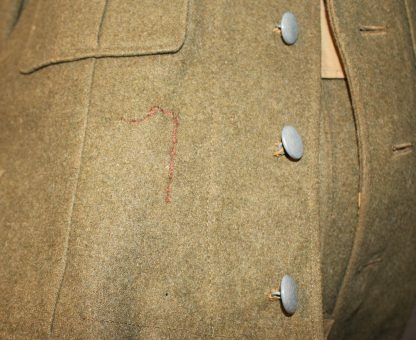 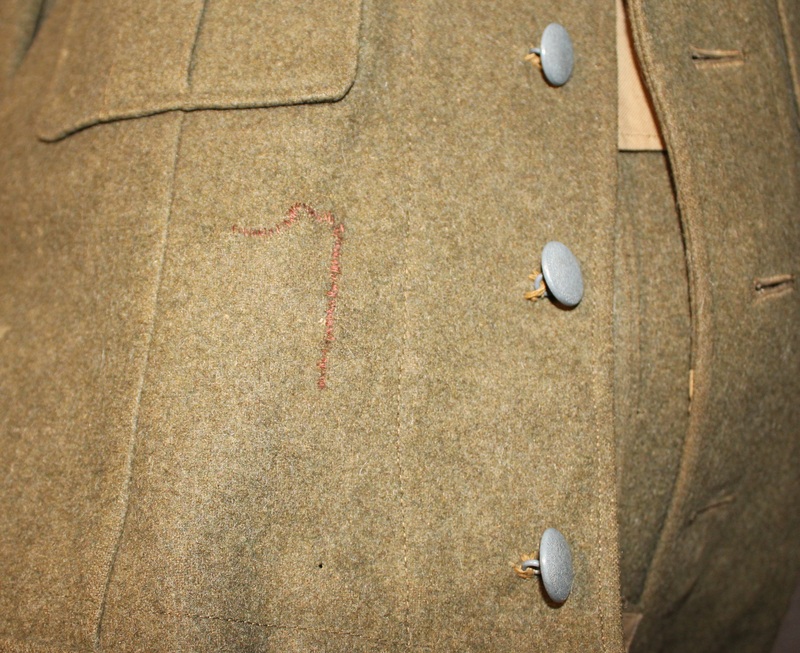 Th front of the tunic shows a repair which is pictured. 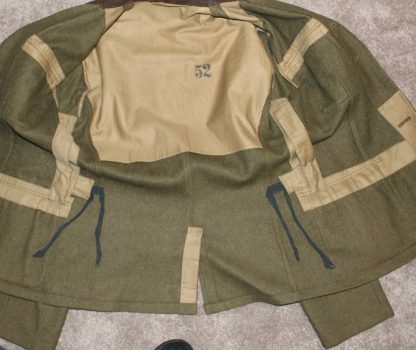 The inside is in beautiful condition.